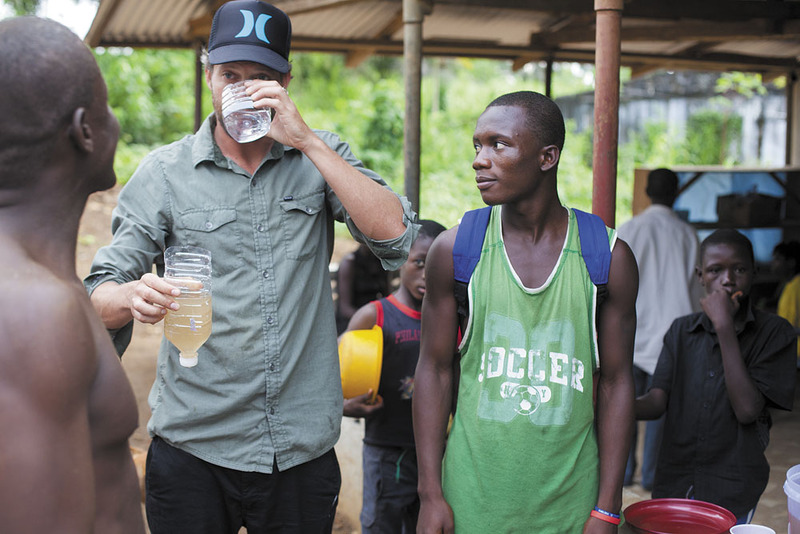 Jon Rose is an activist, surfer, and founder of Waves for Water, a non-profit fighting to provide water to those who otherwise would not have access to it. The goal of Waves for Water is to deliver filters to places and people so that they can turn otherwise undrinkable water into a resource. The non-profit has gained support from several prestigious backers including Patricia Arquette, who is on the board, and renowned companies such as Oceana and Hurley. Last week I felt somewhat down about how to get involved in helping the environment or others in a hands on way, but then I came across the actions of Jon Rose. He, his mission, is a beacon of light. This does not just pertain to activism and helping others, but also to helping to empower ourselves. Rose has helped a load of people, both in America and abroad. We can do whatever we set our minds to. Hopefully, that includes positive actions that in turn benefit others as well as ourselves and the environment in which we live, creating a more loving world. In researching Rose's company and mission I was reminded that, "you don't have to ask permission and you don't have to drop everything." If advertisers, brands, and major magazines (ahem, looking at you, Vogue) started to feature activists, lawyers, spiritual leaders, writers, and other similar people, many children would have a more expansive view of what a role model is. Check out Rose's story - it's inspiring.